The Moonlight Trilogy, Chang Chia-Hua’s latest series for middle grade readers, brings to life Taiwan’s northern port town in three different periods of history. Mixing magic, folklore and historical fact, the Moonlight Trilogy uncovers the tragedies of three kinds of colonisation and war wrought on the locals, opening up questions of forgiveness and how we deal with the scars on our past. A nameless spirit that has been lying at the bottom of the Tamsui River bed has awoken in a state of amnesia. What happened? How did he end up there? 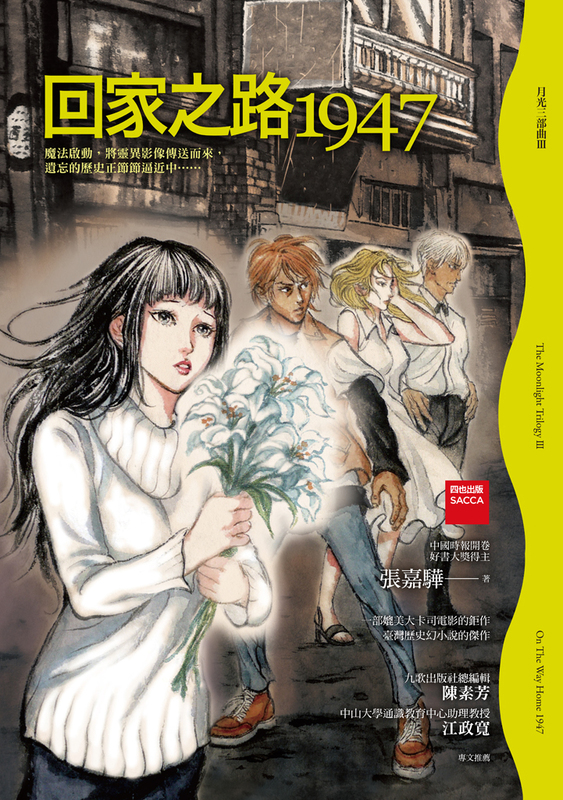 A boy, somehow young in age but with the silver-white hair of a man many years his senior, is trying to find out what happened to the father he lost in 1947. Taiwan had just been taken over by KMT military government from China. When the Taiwanese couldn’t stand the corrupt new government and the locals rebelled against them, bloodshed was widespread. A chance meeting with Aunt Moon and Chi-Hua results in a sudden chance to go back in time and solve the two mysteries. But can the aunt and nephew team heal scars now over sixty-five years old?